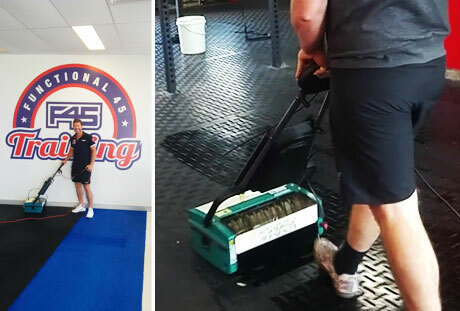 Are you struggling to clean your gym floors effectively? 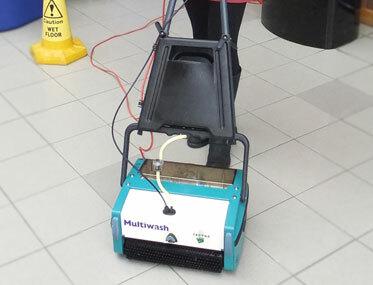 The multi-purpose quick and effective floor cleaning machine has the muscle to wash, scrub and dry on both hard and soft floor coverings in a single pass. 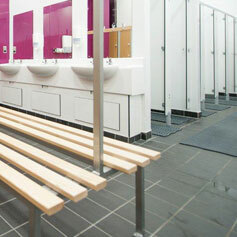 Rubber Flooring, Hard Floors, Tiles & Low Pile Carpet to clean? 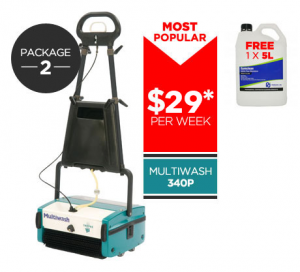 Here is the ultimate solution that will literally save you hours of labour & gain more members with cleaner floors for as little as $22 per week + GST. I injured my back hand mopping this floor every week and had to stop training. This machine will make my life easier and give us more time for other things. As a CrossFit Box owner and coach we are constantly looking for ways to improve efficiency. 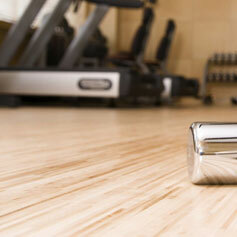 Mopping the gym floor is one of those tasks that takes time and effort with minimal results. Since purchasing the Multiwash MW340P floor cleaner, the gym looks as new as the day we laid the mats. The mop barely gets a run. If you are thinking about getting one of these units, just do it. You won’t be disappointed..
Save hours of cleaning and enhance your image with clean floors. Here are some frequently asked questions by gym owners. 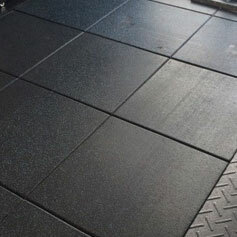 What can best clean rubber floors in gym’s? The compact Multiwash scrubs and cleans removing dirt, grime, sweat, body fat and chalk. Does it need much water or chemical? Due to its design, it uses very little water and this can be controlled by the operator. It’s recommended that a gym cleaner chemical is used removing any body fats & keeping the floors safe & healthy for work outs. What about cleaning floors in tight areas? 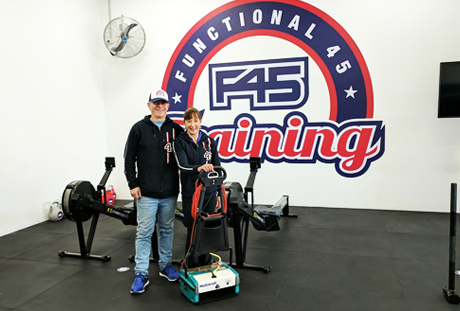 Due to design and weight, the machine operates on the two counter rotating brushes allowing the operator to easily manoeuvre the unit around gym equipment and up against walls reducing the need for any mop cleaning. What about tile floors in showers or bathrooms? A mop will tend to leave dirty water in the grout lines, but when using a Multiwash on a regular basis, the brushes are lowered giving greater downward pressure reaching the grout, scrubbing & collecting the dirty water leaving very little residue. 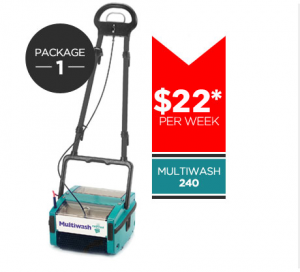 Can I use the Multiwash for carpet cleaning? Yes, the Multiwash will scrub the pile of the carpet and collect the dirt including body fats allowing the carpet to be walked on again very soon after the cleaning process. What about vacuuming the carpet prior? Yes, it’s always recommended that a turbo brush is used on carpet cleaning on a regular basis which will remove fine dust and sand extending the life of the carpet and making the extraction or encapsulation easier. The German Columbus upright vacuum will enhance the life of your carpets and make the cleaning process very easy. 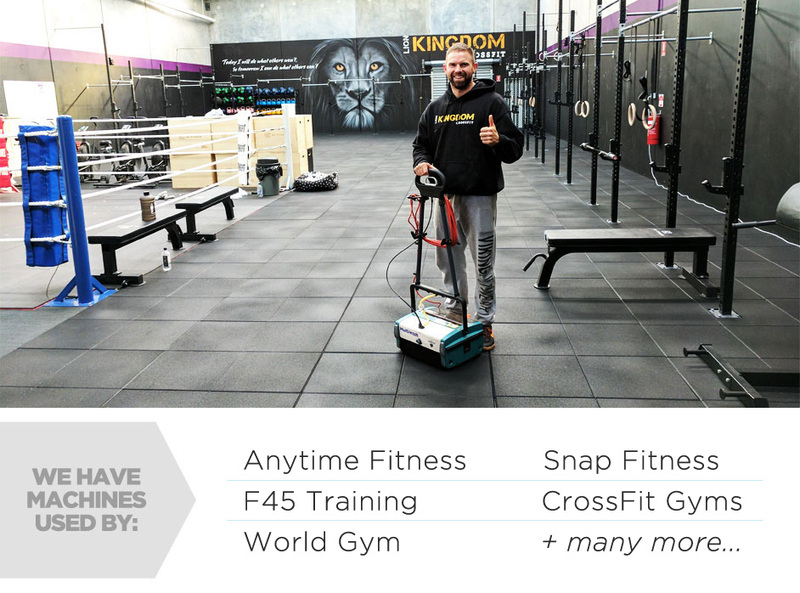 Yes, that can be done with another machine which may even suit your gym application better. 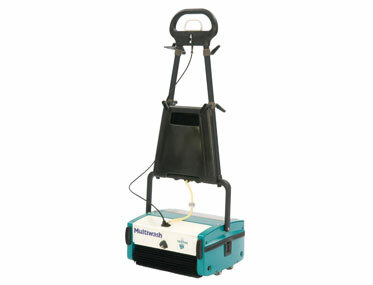 This is a compact extraction machine specific for low and high pile carpets & upholstery cleaning. What about vacuuming or sweeping hard floors prior to scrubbing? 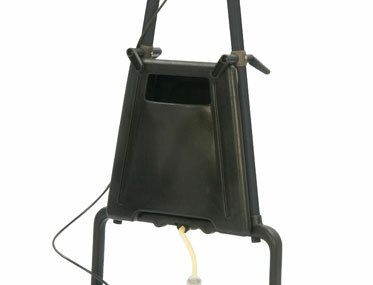 Depending on the level of dirt, either a broom, tub or back pack vacuum can be used to clean up the bulk of dirt. 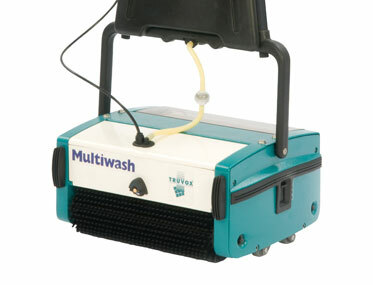 The Multiwash scrubber will clean and remove any fine dust in the cleaning process. 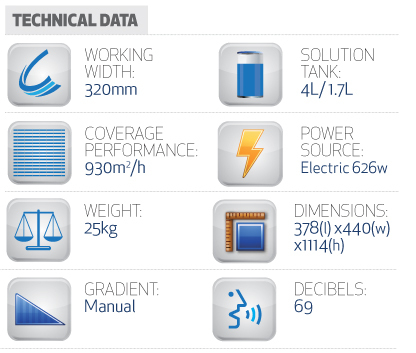 What about cleaning non-slip type floors? 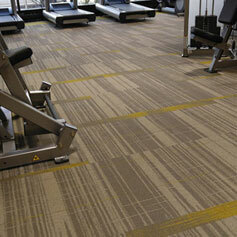 Yes, new floor products are being used more often in wet areas or entrance matting to prevent people from slipping. These floors can be very difficult to clean using a standard mop, therefore the multiwash has been designed to clean these floors saving enormous amounts of time. Gym cleaned in under 25 mins start to finish walking out the door with not a sweat drop on my brow – my gym I know now regardless if the members know is spick and span – and very tidy! thank you. 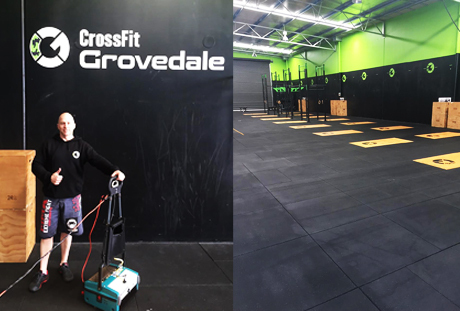 At Cardinia CrossFit we use the ultimate scrubber. The floor comes up immaculate. Better than using a mop! Even the members gasp when they walk in the door how clean the gym is. Money well spent. The scrubber is going great – the mats almost look like new after they’ve been cleaned and it is much faster than manual mopping. Loving it! Our scrubber has been fantastic, a tad scary the stuff it picked up on the first few runs! Has made a huge difference. Most popular cleaner for rubber gym floors. *To approved long term rental applicants payable monthly excluding GST on a 36 month contract. Shipping is free within Australia however maintenance is not included. To get more information, please fill in the short form below and we will be in touch with you.